Terrorist Thomas Mair jailed for life for killing Jo Cox. Why did he do it? Murderer and terrorist: Thomas Mair [Image: PA]. This was a terrorist attack by a right-wing extremist – and just the first sign of a wave of aggression, around the world. 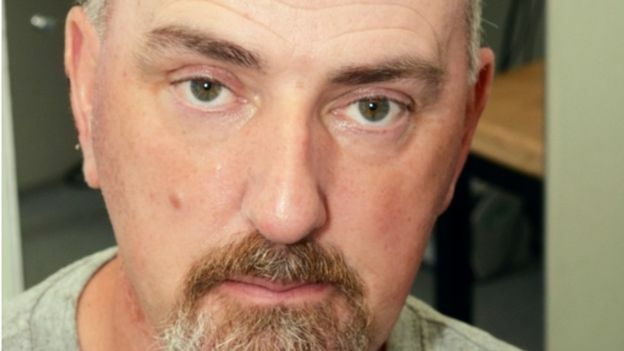 People like Thomas Mair saw the anti-immigration rhetoric that fuelled the vote to leave the European Union as an endorsement of racist, nationalist views. And the proliferation of hate crimes suggests those views appear to be on the rise in the United States of America, after the election of Donald Trump as President, and in continental Europe. People are committing these crimes because they think they can. They think that, somehow, atrocities against their fellow human being are now permissible – or at least that the authorities will turn a blind eye. But what makes them believe their racism, homophobia, sexism, sectarianism, anti-Semitism or whatever is justified, anyway? Have we, as a culture, failed to address these issues? This Writer finds that hard to believe. I’ve been brought up in the same culture as everybody else and my compassion for another person has never been conditional on the colour of their skin or the compatibility of their religious beliefs. Yet these crimes have happened and are continuing to happen. Thomas Mair murdered Jo Cox on the basis of a falsehood – for a lie. I know many Vox Political readers have been waiting to air their opinions on this very subject; now is your chance. What on Earth do you think has been motivating this? Mair shouted “Britain First” in the attack, but the judge said the true “patriot” was Mrs Cox, not Mair. Mair was also found guilty of having a firearm with intent, causing grievous bodily harm with intent to 78-year-old Bernard Kenny, who tried to help the MP, and having an offensive weapon, namely a dagger. There is also no mention of who helped him or where he got a gun from…and other important questions such as this remain unanswered..why is that? He tried to make a statement to the court at the end, but the judge refused permission on the grounds that he had had plenty of opportunity to speak during the trial. Your other questions are very interesting. Perhaps a FoI request to the police, asking if they are following up on this, would be in order? What I really can’t understand is why no Tory MPs have been assassinated. Mair is an evil Nazi killer. I wonder how many more evil people such as him are lurking in the shadows, and believe they have been given a green light to kill and to maim? The disabled and sick know only too well that there may only be a small number of these people, but it only takes a few to make a lot of people’s lives hell. If I can manage without my wheel chair for a short shipping trip I will because despite the pain I will endure lasting days after, that is preferable to being abused and assaulted simply for being visibly disabled. How many more of these have now added politicians and ” immigrants” and other scapegoated others as a result of the brutalizing of our politically discourse? Like a lot of the problems we are facing, the partisan lying tabloid media are bang in the middle of this mess, whipping it up with lies and screaming headlines. The assassin was clearly intellectually challenged and by any reasonable definition insane. Looking for an understandable, rational reason why a man would murder a slightly built and completely harmless lady when they are crazed is grasping at straws. I doubt that anybody will ever fathom why Mair acted as he did. I doubt he knows himself. You’re letting him off by allowing him to play the insanity card, then. What’s everybody else’s excuse? Are they all crazy too? He didn’t play the insanity card. I’m not “letting him off”, Mike, only saying that in my opinion we probably won’t ever be able to fathom why he ended up doing what he did. There appeared to be hints in the evidence of misogyny. Not a defence but perhaps a reason for his choice of target. Ok I’ve long held a theory that the attitude to people in ‘authority’ has been subtly manipulated for many years. I don’t believe it’s generally a deliberate policy of anyone, more a developing trend. Let me explain. The mass entertainment media, by which I mean Hollywood, TV drama etc and printed fiction love the awkward, unconventional, plough your own furrow hero. You can all think of thousands of examples but I’d offer Dirty Harry, Captain Kirk, Wolverine, many cowboy movies, Rambo, Die Hard, ghostbusters the list is endless where the protagonist achieves his goal by disobeying the rules and going head to head with the people with rank who want to stick with procedures and obey the rules. The ‘authorities’ are portrayed as one dimensional, unexciting, unimaginative barriers to progress or achievement of goals at best or corrupt, venal jobsworths at worst. This perception of the maverick vigilante as a folk hero and therefore something to be aspired to as opposed to the obstructionism of the often elected authority is such a meme in our subconscious that it now colours our thinking. There is an acceptance in people’s minds for example that all politicians at all levels are corrupt, it’s been stated that experts should be ignored as they don’t know what they’re talking about The populist rabble rouser is the new Batman out to protect the city without being bound by the law or democratically accepted norms. This trend in popular entertainment has been a feature of many many years in mainstream production. There are certainly exceptions. Wallender, many ‘police procedurals’, which depict the hard and considered work that real police have to do, again I’m sure you can think of examples. But, I would contend, from my own observation, that the message that one should take the law into your own hands and ignore the rules is justified and the only effective way to get the result you want is part of people’s thinking these days. I believe that this is ultimately destructive of society and was a contributing factor to Brexit, Trump and, tragically, the murder of Jo Cox. I don’t trust the insanity excuse. What is clear is that a lot of people have been radicalised in a similar way to Mair, although he’s extremely rare for acting on his beliefs. And this radicalisation is taking place online and in certain mainstream newspapers – it’s not even hard to find. Those people who are irresponsibly demonising Muslims and immigrants and refusing to ever say anything positive about these groups share some responsibility for what has happened. That’s not insanity, Mair is just a completely evil psychopath. I’m usually against capital punishment but in Mair’s case he should be offered the choice of all his remaining days behind bars or lethal injection. Sadly this sort of behaviour could become more commonplace as our society drifts even more to the hard right – unless we can nip it in the bud. Psychosis is a form of insanity, Pete. I think you mean he’s just an evil man who took the opportunity to inflict his evil on somebody else. I agree that we should nip this behaviour in the bud – in fact, I think it is our duty to do so. Psychosis is conditions such as shizophrenia, mania and some depressive illness’ a psychopath is not suffering from a psychosis. Having said that only one person apparently heard him shout Britain First, strange that the others did not. He was not allowed to actually give his viewpoint on why he did it, and the claim that he had a chance to speak in his defence is a little bit strange if we accept that he is mentally ill, which as he has been given a full life sentence appears to be the consideration of the court. My understanding is that he was offered every opportunity to give his viewpoint on why he did it but chose not to do so until it was too late. The fact that he has been given a full life sentence indicates that the court believes he is not mentally ill.
Oh, and “Psychopath: a person suffering from chronic mental disorder with abnormal or violent social behaviour”; “Psychosis: a severe mental disorder in which thought and emotions are so impaired that contact is lost with external reality”. It is possible to be a psychopath and suffer from a psychosis. Psychosis is a severe mental disorder in which thought and emotions are so impaired that contact is lost with external reality. So was he mentally disabled? The tory government and our hate filled, bile spewing media is hell bent on turning everyone against everyone else, it is a tried and tested formula of divide and conquer. Sadly this has real life consequences such as Jo Cox’s murder and diability and race hate crime. While everyone is blaming the poor, disabled, sick elderly, etnic minorities and immigrants Tories (Quite litterally) get away with murder (Caused through) benefit sanctions. The thing that worries me most is the fact that Mair was a member of Britain First, whose to say that they were not involved in the planning of Jo Cox murder? Professor David Canter says he’s a lone fantasist,not terrorist.He spoke about him on Leeds radio. Obviously he’s caused terror but he’s not forensically termed a terrorist.A dangerous psychopath but not officially classed as a terrorist. Interesting. But it was described as a terror attack in the courtroom. Civilisation? Culture? Compassion? Co-operation? Empathy? Understanding? Tolerance? All very fine ideals: to some. Only won though by hard, hard fighting slogging and blood letting for thousands of years. Rivers of blood and monumental personal sacrifice beyond belief. And yet here in 2016 it still all hangs by a thread! It is the Battle of Evermore and total victory can never be attained: there is a ‘cancer’ ever present in our midst! With the rise of Fascism here in this country now and elsewhere these fine hard won ideals are in retreat: beaten back and battered down: for now. But the tide will turn again. We need more fit, young, able, decent, idealistic, principled people to join up now for the ‘Resistance”. Your Country Needs You! The Future Needs You! Now, like never before. His mind had for many years lived in an echo chamber of Nazi thought to the point where it was closed to reality.